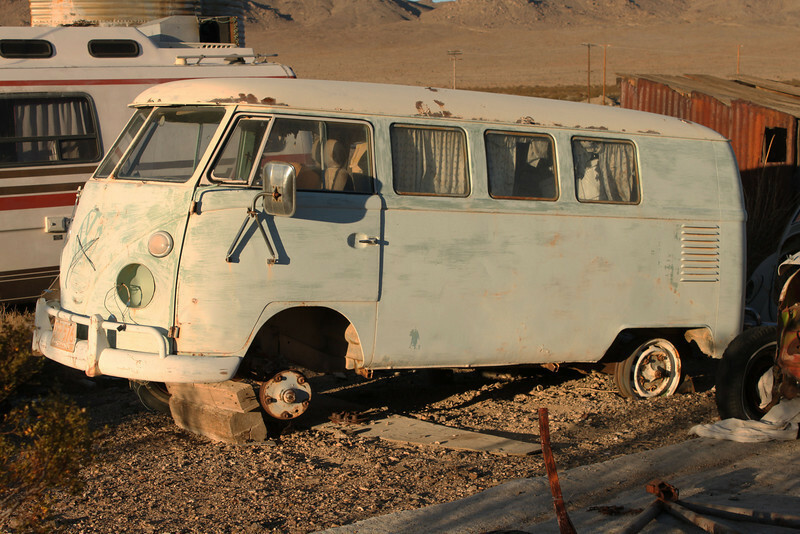 If there is an Elephant Graveyard of old Volkswagens, the blessed rusting wrecks of Hippie buses, Baja Bugs, and Beetles found in and around the Death Valley area town of Darwin is likely the place. The hot dry air provides an excellent climate for storing what one might consider one of the planet's better remote car museums, and the local Volkswagens steal the show. A man named Howard lived next to the Reeses for years and was known as a guru of all things VW. When Howard died his vast collection of Volkswagen body and engine parts remained and is now protected by the Reeses. This old bus is one of many complete carriages on the property.